For U.S. 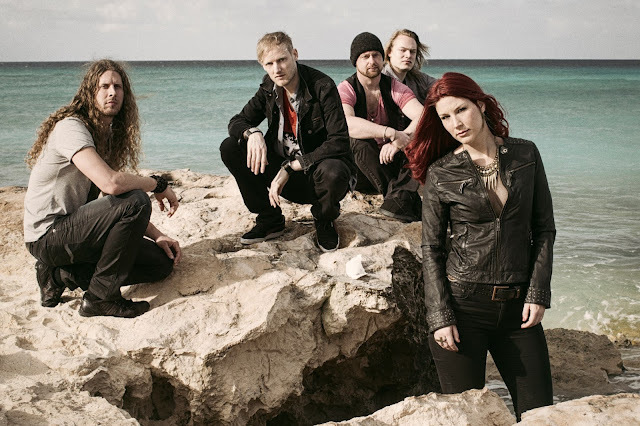 Fans, the news that Delain was coming over from The Netherlands to support Kamelot on their Fall U.S. tour (with Eklipse) was amazing news. I had the opportunity to ask lead singer, Charolotte Wessels, a few questions to coincide with the tour. Normally this interview would of been in the print version of Eclectic Arts but due to the time constraints, I posted it here on the blog to coincide with the U.S. shows (which are already under way). Delain play El Corazon on September 17th, 2013 here in Seattle, WA. *Greetings Charlotte! Thank you for taking the time to do this interview. I really appreciate it. With your upcoming US Tour with Kamelot, what can we, the US fans, expect to see at the shows? CW: We’re doing an energetic set and basically hope to have a party each gig! So far, we had some really great shows! *With "Interlude" being a release before the next full length release, will some of the songs (new tunes, cover tunes, etc) be played in the US shows? CW: We’re keeping those tunes for a little later. Our US set contains mainly songs from our three studio records, Lucidity, April Rain and We Are The Others. *I really like the ballad version of "We Are The Others" on "Interlude". For those not in the know here in the US, can you explain the background for the song, the story, etc? CW: The lyrics for We Are The Others were inspired by the tragic death of Sophie Lancaster, a girl from the UK who was beaten to death only because she dressed goth. The song We Are The Others is on the one hand criticism on the way humans treat ‘otherness’ with fear and violence, whether that otherness is based on gender, sexuality, ethnicity, religion or subculture in the case of Sophie. On the other hand, the song is also a celebration of that very otherness, an anthem for outcasts, because it makes us who we are. *Will you and the band be available for autographs and photos after each of the US gigs on the Kamelot tour? CW: We will. We come out each show after Kamelot finished their set. Since these are not official meet and greets but just us wanting to meet our US fans, the location may vary depending on the venue. But you can usually find us at the merch, in the venue, or at the bus. *When you're playing in Europe and other overseas countries, you're playing large places. When you are the special guest on this upcoming US Tour, you'll be playing clubs. What do you like about playing both types of venues? What do you have to change/compensate for when playing a club VS an arena? CW: I like the intimacy of clubs, it actually allows you to be more natural whereas on larger stages you always need to overact a bit in order to make your emotions visible for a larger audience. *How is the new album coming along? What can Delain fans expect from the new album? CW: We are working on it now and will hit the studio in autumn/winter. It might be to early to talk about style since it’s early in the process and much will change, but the material so far I really think our fans will dig. It’s a combination of our more recent style like on WATO but with a return of some classic elements which were prominant on our first records. *I know the band has played a few US shows before. What were your impressions of the US (fans, the shows, etc)? CW: It’s amazing. Everytime you tour new territory you never know how many people are actually into your music, especially when you’re a supporting band so you can’t really tell from the ticketsales. But we’ve had so many people singing along to every word and we’ve had such warm responses. I can’t wait to return to the US on a headlining tour. 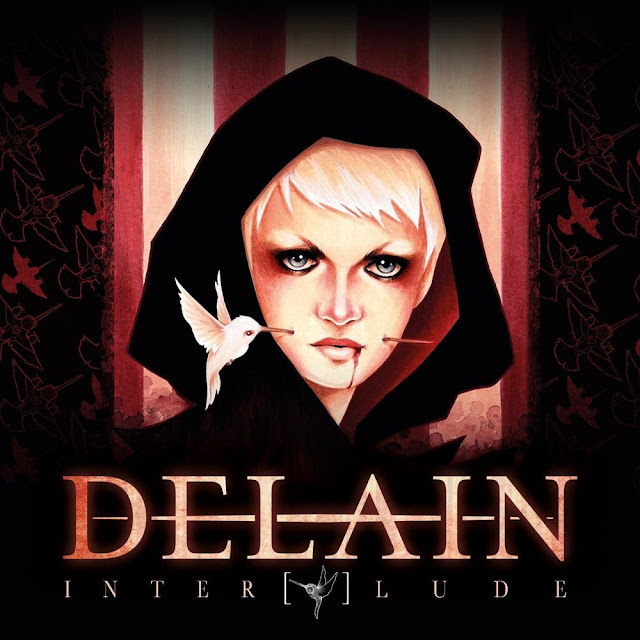 *Are there any chance of Delain coming back to the US to do a headlining or co-headlining tour for the new album? CW: That is the plan, I’m hoping we can make it happen! *What was life like for you growing up? When did you start singing? Who are some of your influences - both as a vocalist and perhaps overall (like bands, etc)? CW: Although my family are not musicians music was always very present and prominent at home. I love the music that my parents listened to (Pink Floyd, Kate Bush, Beatles, etc.) and my older brother got me introduced to metal. Oh, and on weekends my dad and I used to sing the entire Phantom of The Opera :) I played clarinet in a classical orchestra and in a bigband (all the cool kids play clarinet) and sang in several bands and a singer songwriter duo with my best friend at highschool. I had some pop/jazz singing lessons and some classical singing lessons so all in all I was active in many different music styles in genres, which is why I still can’t stick to one genre I guess. However my very favorite band is Radiohead, vocally I love Joni Mitchell, Kate Bush, Bjork, and for lyrics I admire Nick Cave and Amanda Palmer. *Do you have any plans to perhaps release a solo record any time soon or a separate project? CW: Actually I just did a very awesome project where I was asked to make the music for the pilot of a new Dutch fiction television series called Queer Amsterdam. It just premiered in Amsterdam and is now going around on filmfestivals in Europe. The website of Queer Amsterdam is http://queeradam.nl/. I’m hoping to continue this project if they get funds to shoot the entire series. *Thank you so much for taking the time. I will be at the Seattle, WA show on September 17th at El Corazon. The last words are for you. CW: We’re having a great time on our US tour! Thanks to everyone we’ve seen so far and looking forward to meet everyone on our upcoming gigs. The support is very appreciated! DELAIN - as special guests on the Kamelot tour w/opener Eklipse!